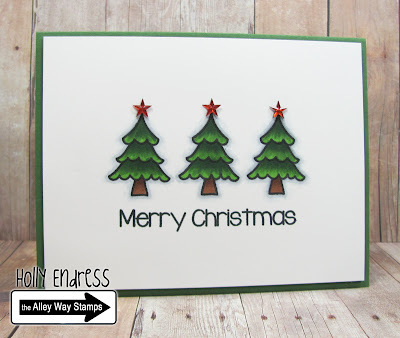 Hollybeary Creations : Sneak Peeks with TAWS!! Hi everyone... 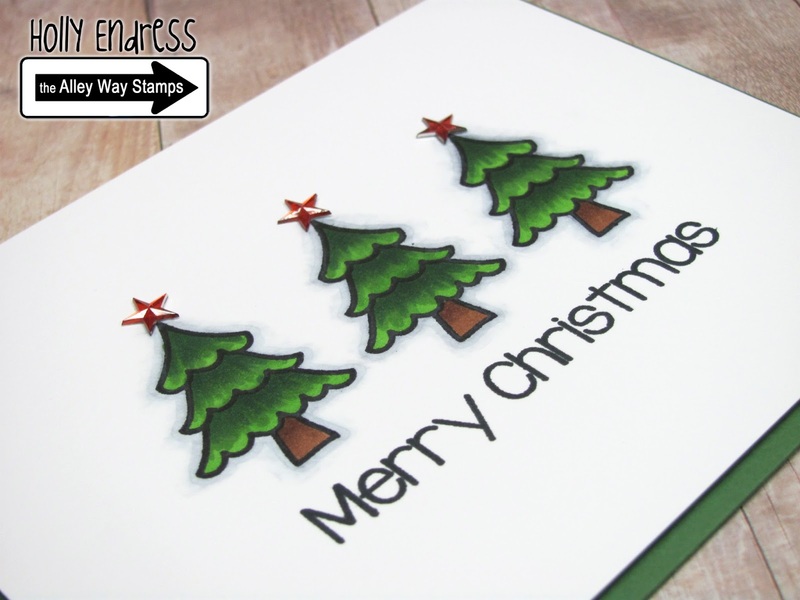 It's time for Day 2 of the December Release Sneak Peeks with the Alley Way Stamps. Today we are showcasing a new sentiment set called Happy Everything. I stamped the tree image from Mistletoe Kisses three times on a White panel and colored it in with Copics. Then I stamped the sentiment from Happy Everything in the center. I added some Foam to the back of the panel and mounted it onto a Green card base. For some bling I added a few Red star gems to the tops of the trees! 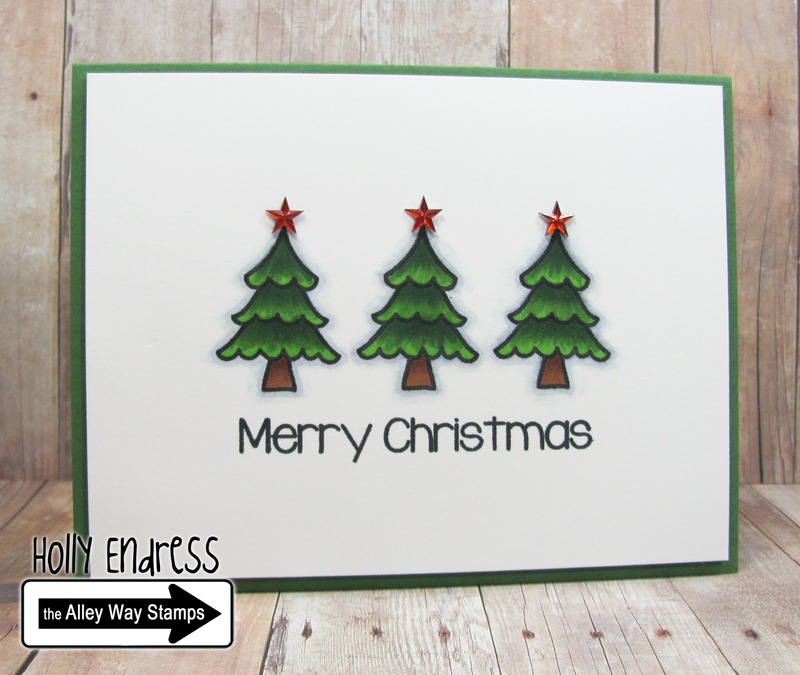 Head over to the Alley Way Stamps blog and see more inspiration from the Design Team.. and don't forget even though we have a new Release the shop will be closing at the end of the year so you can grab all your favorite sets including the new releases for 40%. That is THE cutest card!! I am sooooo sad to see Alison's news. though. How awful. Although I've only created a few TAWS cards, I DO love her stuff. Anyway, YOUR card is adorable! !